It’s almost August. Berries are simply bursting near Pie Cottage. The sour cherries have finished for this season. Yes, I made a few pies and pitted and froze the rest for special pies to share during the winter and spring. Who can resist the taste of summer on a cold winter’s day. The blueberries are coming on strong. And, everyday on my walks I see my favorite blackberry patches just about ready to give up their all for the Best Blackberry Pie Ever! 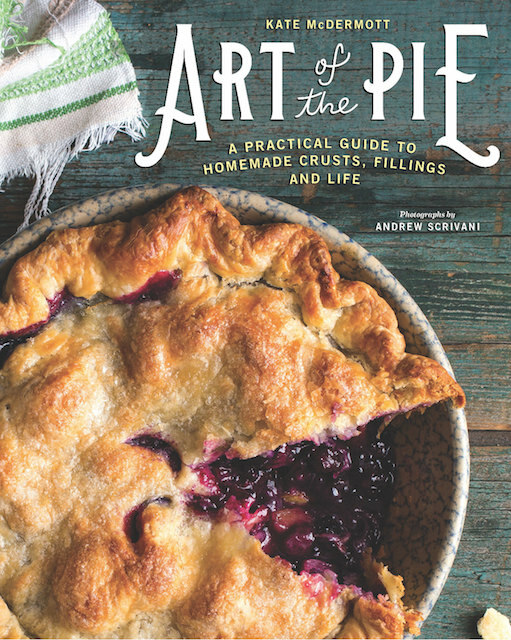 In late 2007, I was asked by Saveur Magazine if I might share my Blackberry Pie recipe to be included in The Saveur 10th Annual 100 that was published in February of 2008. Saveur calls that issue their “favorite foods, restaurants, drinks, people, places, and things.” So, believe you me, it was a very big deal and a great honor for me to be included. Here’s my pie as centerfold in the Feb 2008 issue of Saveur Magazine. This picture used to be online with my recipe, but along with recently changing my original recipe, there’s a different blackberry pie picture up, too. Here’s my Feb 2008 copy of Saveur that has my recipe for Blackberry Pie as one of “The Saveur 10th Annual 100”. And you can bet that those words continue to make my day! So here it is, in the original form for you, My Best Blackberry Pie Ever! You can taste and smell the blackberry briar in this pie. 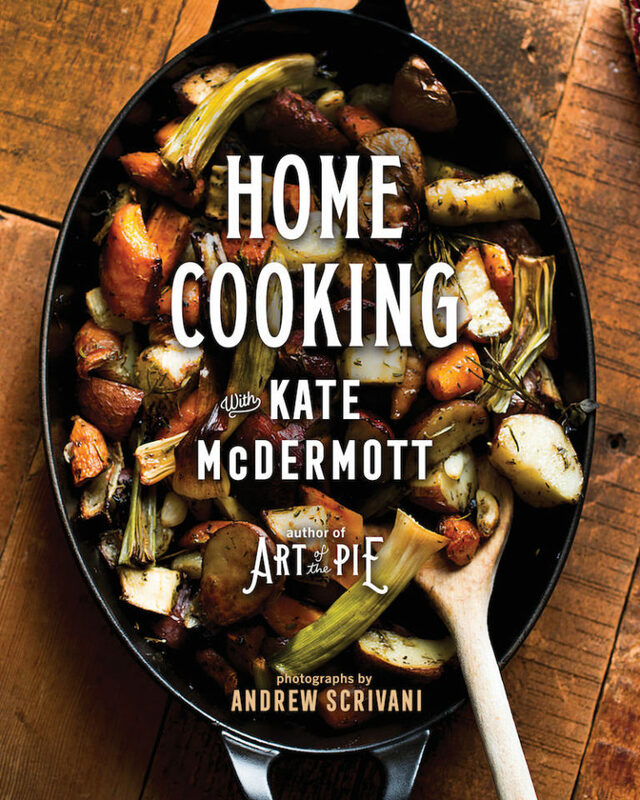 In the Fall of 2007 Liz Pearson, Saveur Magazine's kitchen director, emailed these words to Kate after she tested my recipe out..."I can't get over the crust--it's certainly the best one we've ever tested in the kitchen. It will also be the one I use at home from now on! It's rare that we receive recipes that are so delicious and accurate on the first try. I can't thank you enough, Kate!" P.S. If you ever come cross any bad links that I have failed to catch, I’d be much obliged if you could email me to let me know so I can fix or remove them. I sure wish I had made a scan of Issue #1 of the Sur La Table newsletter in 2010 when my tips and recipe for apple pie were featured. I didn’t know enough to take a screen shot and it’s gone, gone, gone, too. UPDATE 8/3/15: Saveur has contacted me and my original recipe is now back up on their website! Great recipe. Typo:6 cups (about 1½ cups) blackberries… 1-1/2 cups should be 1-1/2 pounds. Thanks for your eagle eye, Jack! I’ve made the correction. Thank you so much for sharing not only the filling but the pie crust as well. You are an exceptional talent. Kate, we picked blackberries near our house in Westport NH on Monday and made your pie. I have to concur, a great success! I’m excited to use your crust recipe but am not sure what cold rendered leaf lard is? Where can I get it? Is it different than plain Lard? Here’s some information about leaf lard…and where to get it. Can this be made with frozen blackberries? It sure can. I do it all the time. Don’t defrost the berries but use them as if they were fresh. Step 3 for the filling says: Put berries, 3/4 cup sugar, lemon juice, zest, nutmeg, remaining flour, and salt into a bowl. I am new to pie making and to this site. Can’t wait to get to the Amish fruit market close to me and get some blackberries! With this recipe even as a beginner, I know I can bake a winner. May not be pretty, but I know it will taste good thanks to Kate! Thank you! I’ve not been known for my pie making skills, but I’m going to attempt this for the blackberry pie lovers in our family. I have the leaf lard ordered, will need to use frozen berries this time of year. Hope to become a good pie baker at last!